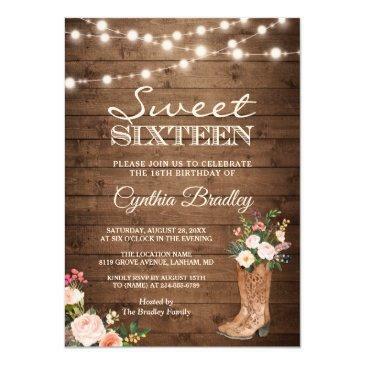 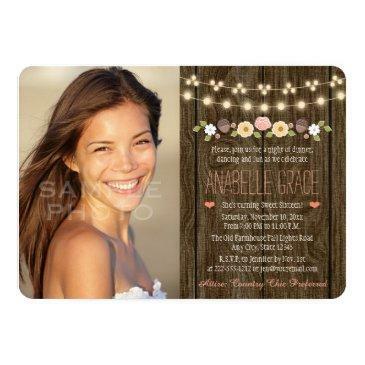 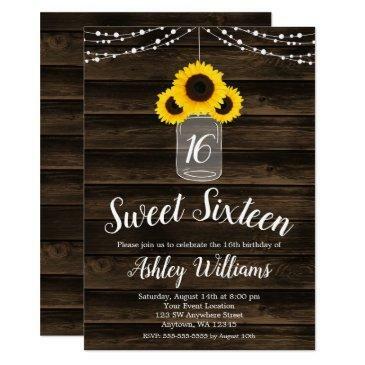 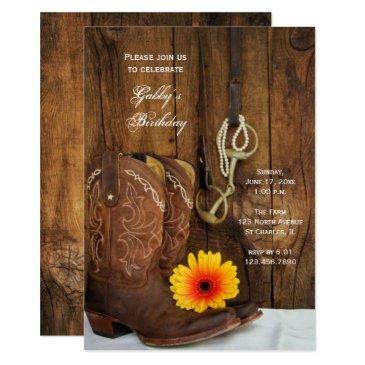 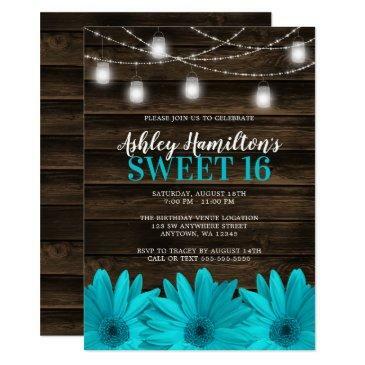 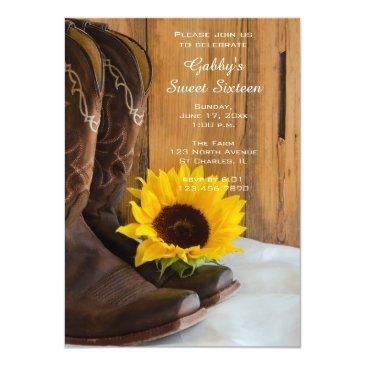 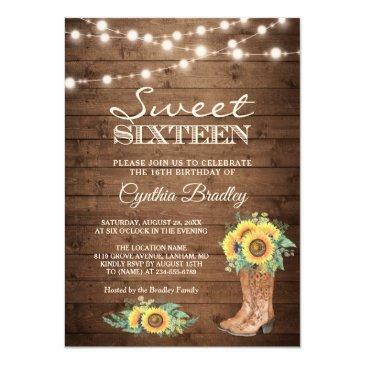 Invite guests to your upcoming b-day party with the charming Sunflower and Cowboy Boots Sweet 16 Birthday Party Invitation. 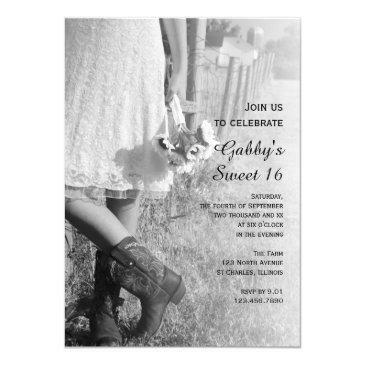 Customize it with a personal name and specific sweet sixteen party details. 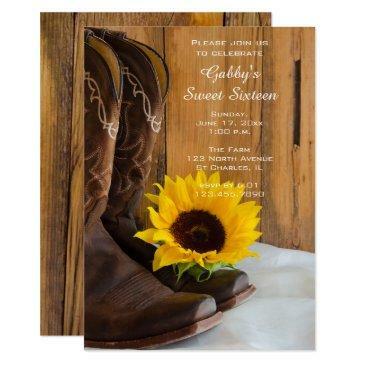 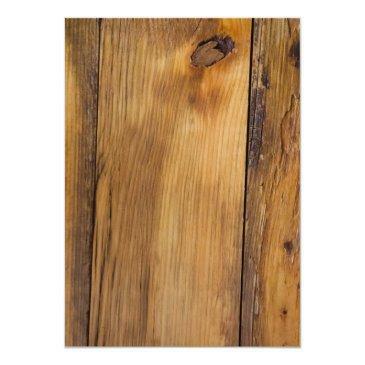 This casual yet classy custom ranch theme b-day party invite features a quaint floral photograph of a pair of brown leather western cowboy boots and yellow sunflower blossom with a weathered barn wood background.